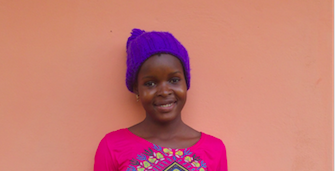 Diane is 16 years old and she studies at the Lycée Classique et Moderne in Bafia. For the 3 last years, she has attended the SBA Center of Bafia every Wednesday, Saturday and Sunday. She likes very much going to the Center. In the SBA Center in Bafia, she has found a new family ! Moreover, she pays a lot of attention to the cleanness of her working environment. She takes part in cleaning and cooking with Pierrette, the head of cooking. Diane has now been appointed responsible for the cleaning of the Center: thanks to the help of her mates, she makes sure that the facilities are clean and she deals with the dish washing and above all with the distribution of the meals. http://www.sergebetsenacademy.org/wp-content/uploads/2019/02/Capture-d’écran-2019-02-05-à-16.44.06.png 171 335 Mailys Finel http://www.sergebetsenacademy.org/wp-content/uploads/2015/10/SBA-logo.png Mailys Finel2019-02-05 22:04:022019-02-08 09:19:14Our success stories: Diane attends tutoring sessions in Bafia and makes sure that the Center is clean!